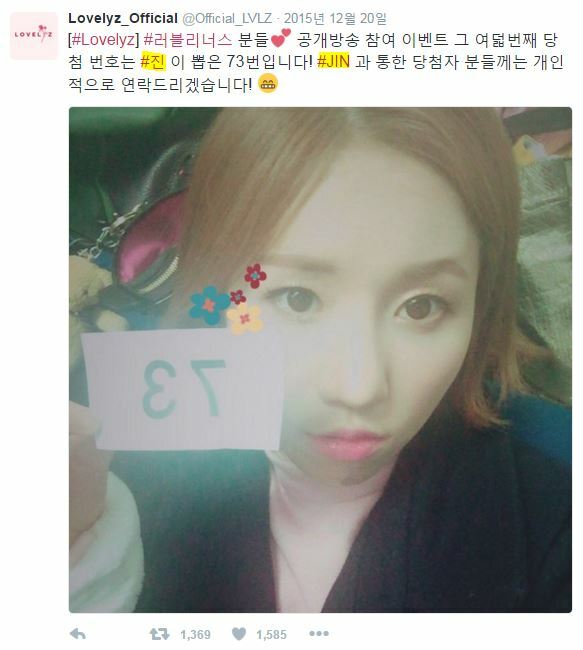 She refers to herself not as "JIN" but her real name, "Myungeun" and the other members call her with "Myungeun"
She referred to herself as "JIN" on their Twitter, but.. I don't know how to end this. 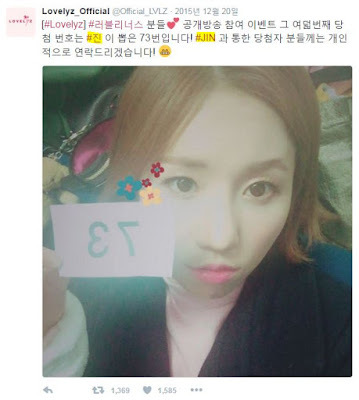 I'm going to slightly promote that Lovelyz is releasing a new song on April 25th. I'll step back with a gif of Drumstick Detective J.I.N! 7. I personally call her by her real name rather than her stage name. It rolls better on my tongue and I like it. I like "Myungeunnie, Myungeunnie" better than "Jinnie, Jinnie"